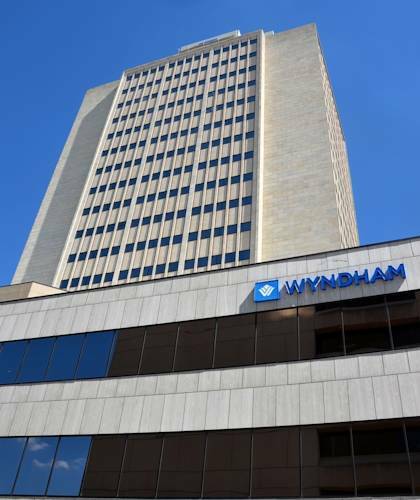 Within walking distance of the San Antonio Convention Center and downtown, Wyndham San Antonio Riverwalk offers area visitors easy access to the best of San Antonio, Texas. Our River Walk hotel's central location and thoughtful accommodations impress the most discerning travelers. An impressive 44,000 sqft of meeting space makes our hotel's downtown San Antonio facility great for business guests. We are pleased to offer an array of services, including a dedicated meetings and conventions staff to ensure that events run smoothly. Additionally, our proximity to AT&T, Bank of America, Toyota and USAA offers an easy commute for our San Antonio hotel's guests. Just a short drive from Sea World, the San Antonio Zoo, Splashtown Water Park and the AT and T Center, and less than a mile from the Alamo, Hemisfair Park, Tower of the Americas and the Alamodome, our hotel's downtown San Antonio address ensure fabulous entertainment options for leisure guests. And, of course, the Riverwalk is just outside our door. While in San Antonio, our Riverwalk hotel's guests can enjoy amenities that include Wi-Fi access and valet parking for a fee. Our facilities include a rooftop pool, Fitness and Business Centers, on-site dining and room service.